Bed Bug Barrier Testimonial – Bondi 2026. Thank you for this opportunity. I had purchased a new mattress ‘Made in Australia’ not realising the company recycled mattresses. I would never have bought it if I had known. When I realised the red marks on our bodies were from bedbugs (wonderful internet) I was very upset and disgusted. We had a terrible time of it. Fortunately I came across your website and you were our saviour. When I called, you were very friendly and helpful offering a lot of advice. I purchased the mattress protector and did as you had suggested. 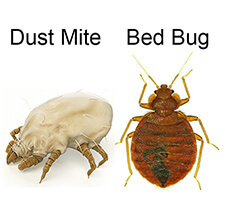 The outcome was instant – no more bedbugs on our bodies. Thank you, thank you, thank you, I would recommend your company to anyone.